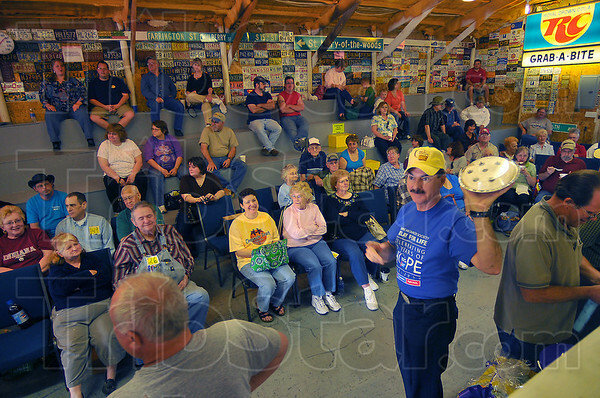 WhatamIbid: Auctioneer Johnny Swalls takes on the role of ringman, holding a peanutbutter creme pie, to begin the auction at Prarie Creek Auction Friday night. Several of the areas' auctioneers took part in the event, a fundraiser fo the American Cancer Societies' Relay for Life. About 1,000 differrent items were donated for the auction.